This is a view of Washington street in Providence at night. I decided today’s 365 would be taken in a confined area. I choose to take a photo wherever I parked for the evening in Downtown Providence. I took a few shots, but this one was my favorite. 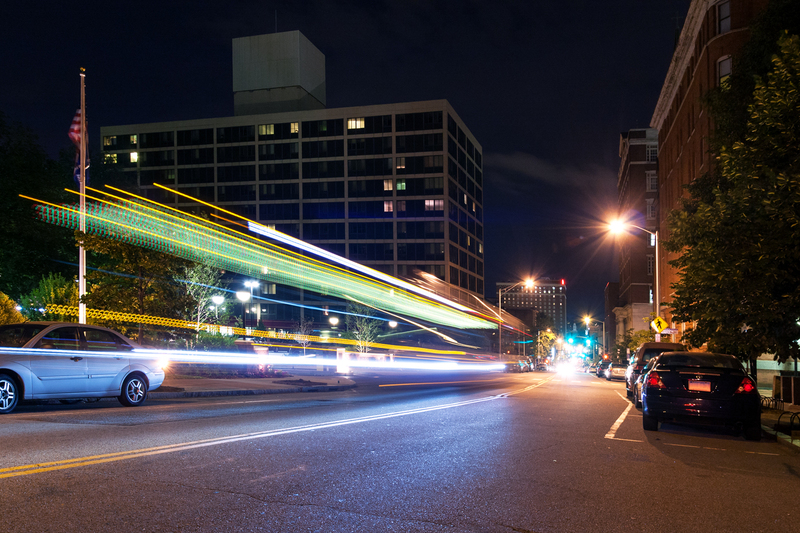 I waited for this bus to come by where I was set up so I could get some interesting light trails. You can see how the sign on the bus made for a really cool LED light trail in yellow and green that leads right in to the heart of the city.